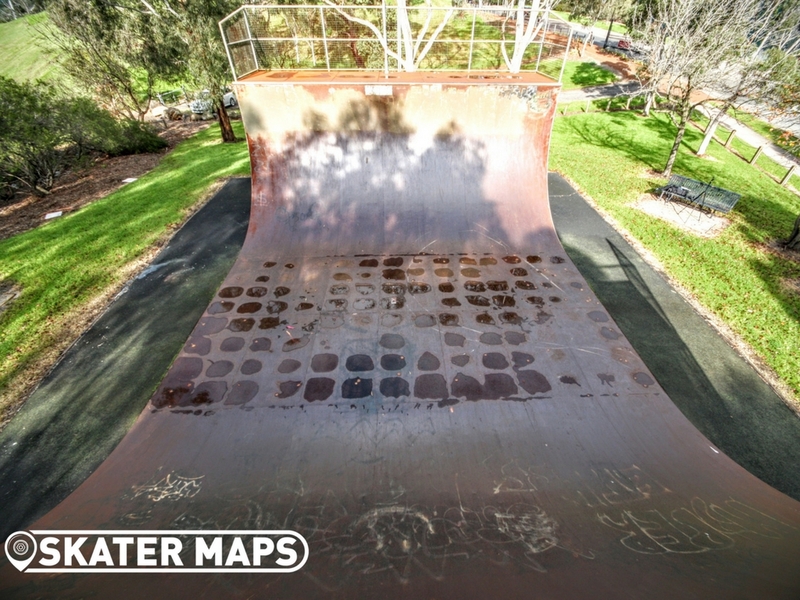 BIG, OLD, STEEL, VERT RAMP. 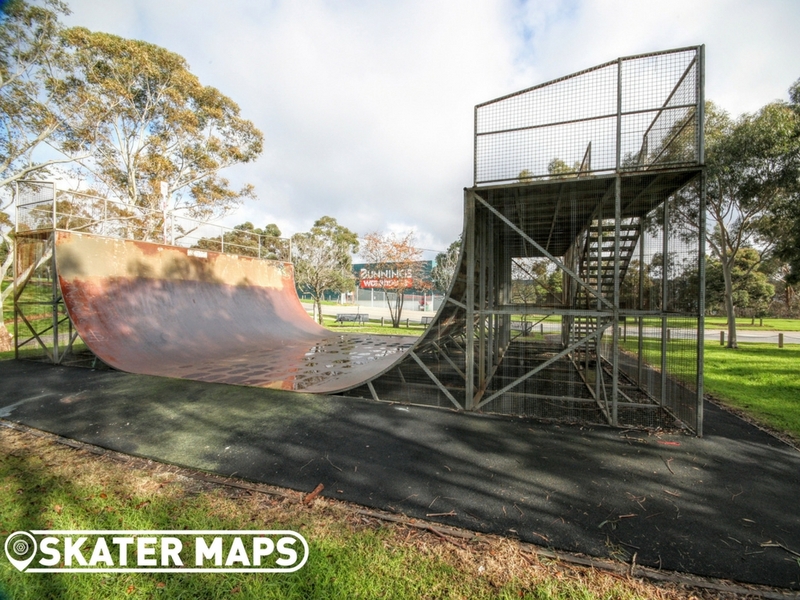 The Vermont Skate Ramp is located on the Cnr of Burwood Highway and Morack Place, Vermont South, opposite Bunnings. 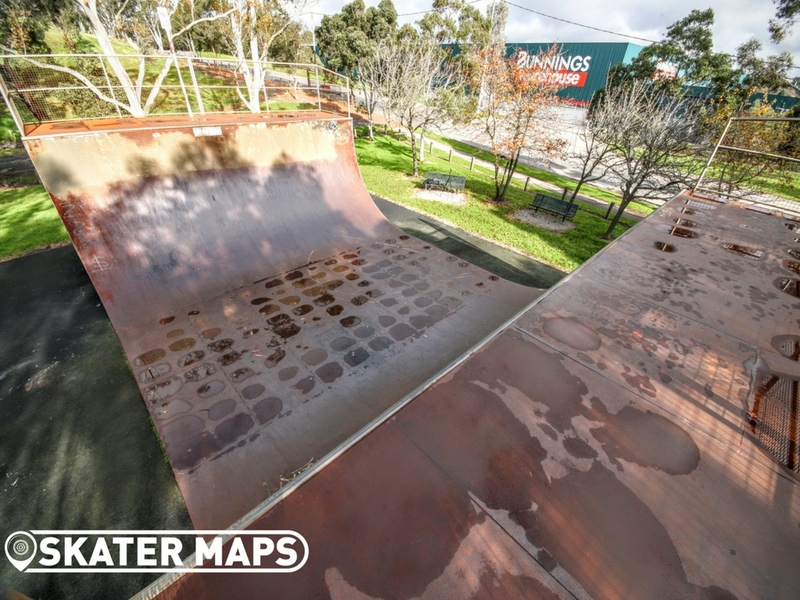 The ramp is smooth and fast with a good ft + of vert but is starting to deteriorate out in the flats where water pools if there’s been rain or anyone has pissed their pants. The ramp is no good in a strong Northerly wind (apparently) and it can get a bit stinky being next to the White Horse Tip and Recycling Centre. 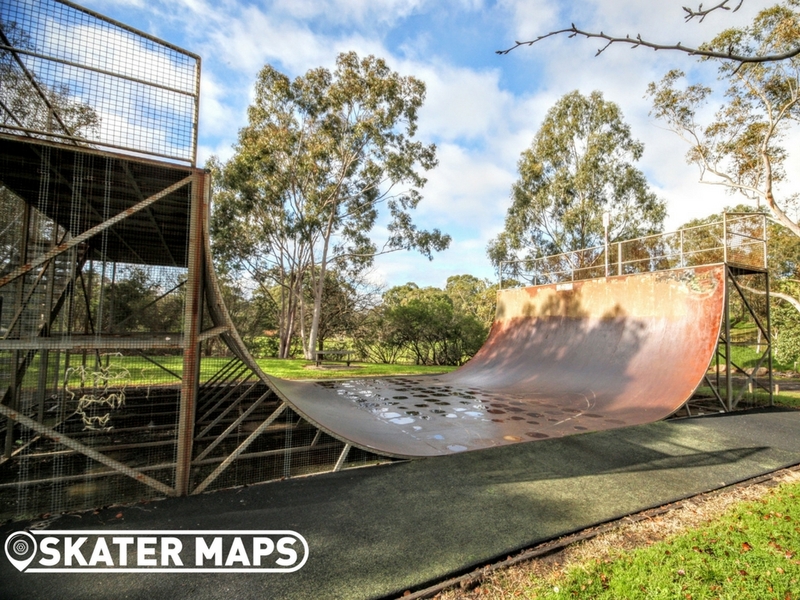 There are a couple of park benches around to sit on but not much else so bring a drink bottle with you. Looks like you could keep some chickens in those cages too. 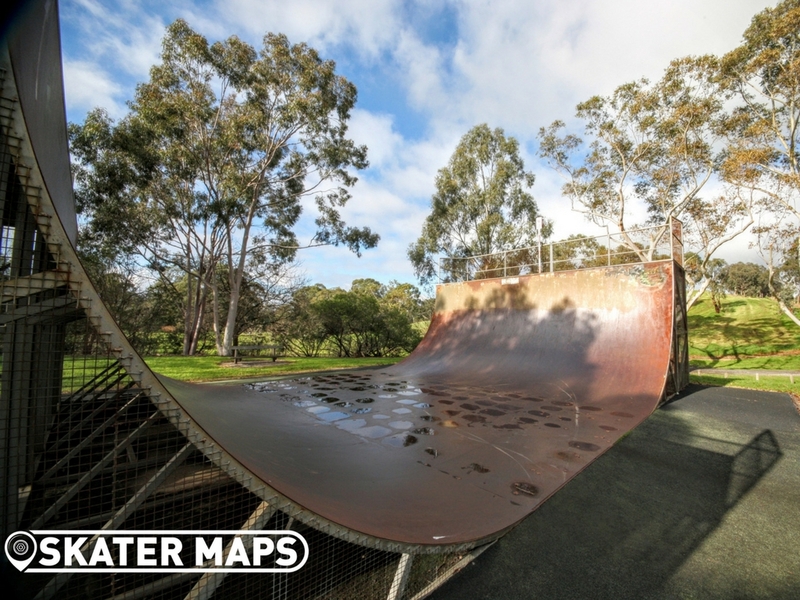 A little skatepark with a mini ramp size bowl perfect for beginners and advanced skaters to have fun! 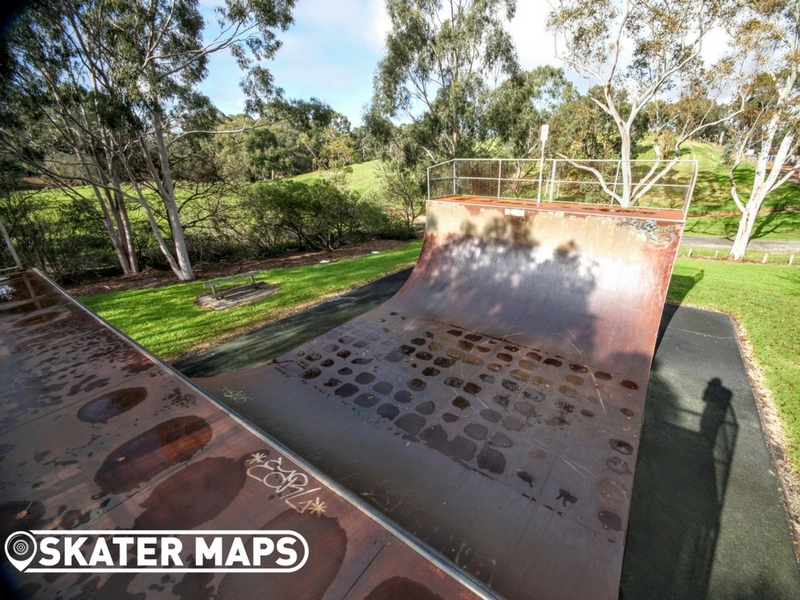 The street section is small but packed with some good stair gaps,rails,ledges,manual pads and banks.